Managing a family as a single parent is not easy. In fact, the pressures of raising a family can be so intense it often crushes two in love parents who are working together. It can easily take everything a single mom has in her to manage homework (hers/theirs), daycare, bills, house cleaning, meals, shopping, activities, work, and most importantly…raising the children. ‘Smooth’ days are often exhausting. Unsmooth days…well…those are just something else altogether. Too many unsmooth days can lead to depression, anxiety, overwhelm, stress, tension, and serious family breakdown. Love, joy, nurturing, learning, and even hope can end up buried somewhere under all the negative, feeling lost and gone forever. Fortunately, there are alternatives to this scenario! 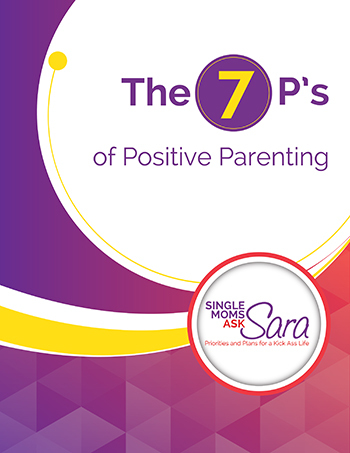 These 5 practical single mom tips will help you create a peaceful, positive, and connected family. Getting life down on paper is the surest way to get ahead of the game. With your activities and responsibilities laid out in front of you, you can see where you are overbooked, when you can add some fun, what days to run your errands, etc. Do the same for the kids, and help them learn how to determine which days are free for play, and which days are spoken for. Just like with the schedule, proactively determining ‘what’s for dinner’ takes worry and anxiety off the table (so to speak). Imagine coming home from work knowing what you are going to prepare, and knowing all the ingredients are already in your house. What joy! Post the list and end the famous daily ‘what’s for dinner?’ question from the kids. Heaven! We’ve all been there. In those moments, stop what you are doing and look around. Why did your child just act like that? Figuring out what really happened, and addressing the root cause of the issue goes a long way toward maintaining a peaceful home environment. While it’s a sad state that we have to actually plan our downtime these days, the reality is, we do. There is a lot of pressure on families to keep up with the Jones’ activities calendar. Make sure you set aside family time. No screens! Read books together, play board games, talk, cook, walk, hug. There are 3,670 days (leap years excluded) between birth and your child’s 18th birthday. Spend each minute wisely, and on purpose. Yep. Sleep. Tired people are not peaceful people. Make sure your kids get at least 8 hours of sleep, and know that most studies recommend 10, with 11 to 14 for toddlers. The body is a busy machine both inside and out. In addition to hormones, glands, and other bells and whistles firing in all sorts of configurations, the body is also trying to grow, and the brain is working frantically to put stimuli in order. It’s exhausting. The best behavior interventions, and the most love and support will create not calmness out of exhaustion. Arrange your life accordingly. 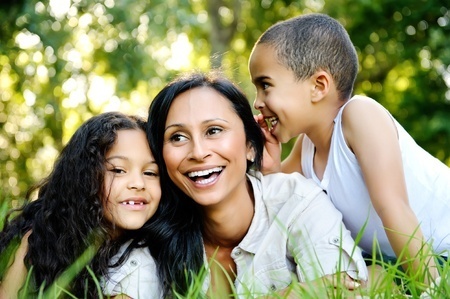 Use these 5 practical single moms tips to create a peaceful family that lives life on purpose, in peace, and with joy. Implement these techniques today...and see a big difference in your kids by bedtime!